Are you ready to deepen your yoga journey? Through this 200 hour program we will dive into the roots of yogic history and explore the fundamentals of a vinyasa yoga practice. Our goal is for you to feel empowered and prepared to teach a yoga class while also creating a deeper relationship within your body, mind, and personal yoga journey. Together we will explore topics including anatomy and alignment, teaching methodologies, philosophy, and ethics to name a few. 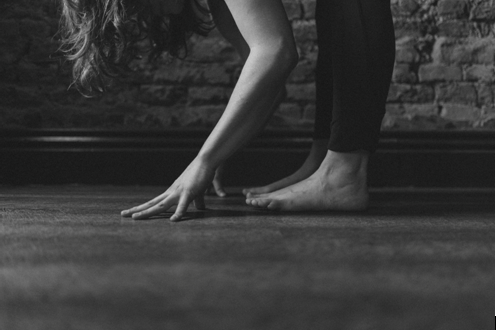 We will broaden your understanding of yoga through multiple styles, hosting guest teachers, and helping you to develop a personal practice on and off your mat. Whether you want to learn to teach or deepen your understanding of yoga, all levels of experience are welcomed to this training. Includes 200 hours of yoga teacher training, guest teachers & lectures, books, materials & supplies. Meet Cortni & ask any questions you have about our Yoga Teacher Training program. For more information or to be added to our contact list to get our fall 2018 information as it is released; please email The Spot or call us at 270.904.4019. Sign Up for The Spot News!